Eyeshadow palettes will reflect the spring mood. On the podiums, the mannequins appeared exclusively with neon plugs and shadows. 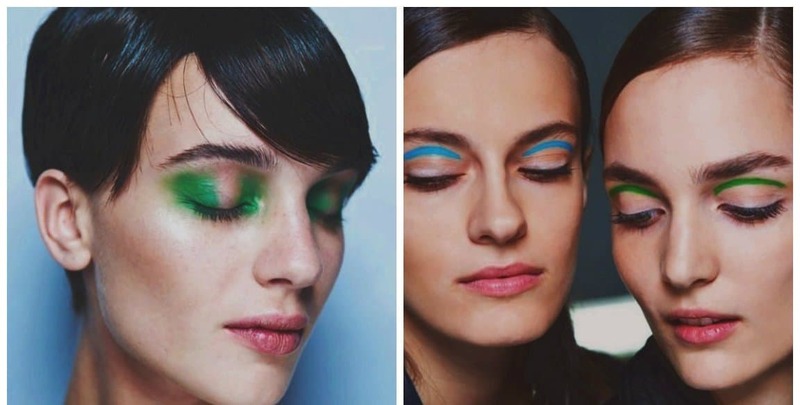 During the fashion show of the Michael Kors, the models have used azure and light green eyeliner, which looks particularly bright. Let’s find out other trends of eyeshadow palettes 2018. A similar method has used makeup artists on the fashion show Kenzo. A bright thin strip looks interesting, besides this option is perfect for a party. Fuchsia-colored eyeshadows became a color accent in makeup at the Donna Karan show. Please note that they don’t’ use eyeliner and additional shades. Such a saturated shade is more logical to use in a monochrome version. It’s one of the trendiest eyeshadow palettes 2018. The second option is to use the upper and lower eyelids. At Dior show shadows in light lilac tones were trendy. At some fashion shows, makeup artists offer a variant of makeup, in which they’ve used lipstick, shades, and blush of expressive shades. An example is Anna Sui, where bright wigs were put on the models to enhance the effect. Lipstick and shadows of red color are a combination for courageous women of fashion. Copper eyeshadow is also one of the trendiest eyeshadow palettes 2018. This trend is stylish in many shows, from New York to Milan, from London to Paris, from designers Alexander Wang, Noon by Noor and Leanne Marshall. Don’t overdo it with the application: only a few light flashes on the eyelids will suffice. Rainbow in the eyes is fashionable. Fashion trends in the cold season allow you to use bright colors and shades, and not one, but even a few at a time. Mara Hoffman, for example, combines colored shadows with black arrows and a lot of mascara, but Noon by Noor and Mugler use color in their pure form. Black color for the eyes is again in trend. In this visage, the accent should only be on the eyes, don’t forget about it! Classic smoky eyes are also stylish. Give preference to brown and graphite shades, there is a transition from dark to light, the necessary accents and the presence of sparkling highlights. In the presentation of eyeshadow palettes 2018 designers Marni, Sibling, Gabriele Colangelo showed a radiant, light skin, thick wide brows, a clear line of lips and untouched eyes! The alternative to “naked” eyes is light natural shades. 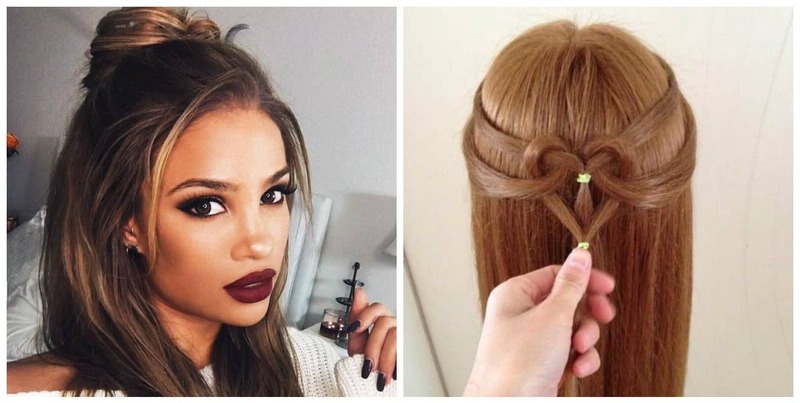 Fashionable makeup 2018 is an easy touch of glitter to your eyelids, cheekbones, lips, and eyebrows. Leitmotiv and John Richmond use bright gold for the rolling age, Emanuel Ungaro uses color glitter for the inside of the eye, Burberry uses sequins for cheekbones. But on the fresh face of Gigi Hadid on the show at Giambattista Valli, we see a glitter along the bottom line of the eyebrow.